This event will be held April 24, 25, 26 at Sports Park Softball Fields. This is a 10U and 12U Rec Ball Tournament. 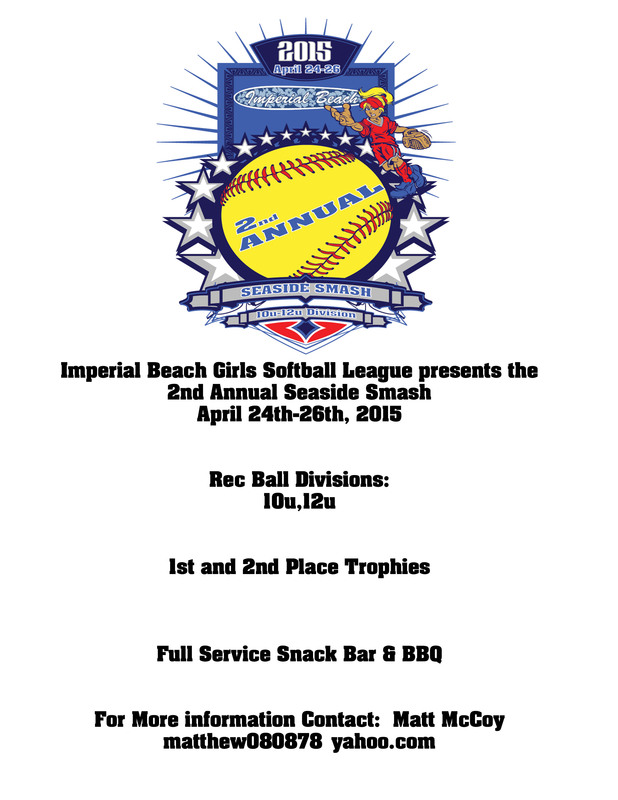 During the year Imperial Beach Girls Softball Inter Leagues with other Softball leagues around San Diego County. This year's event we have leagues from Valley Mesa, Coronado and North Park coming out to compete for 1st Place Trophy's in their respected Divisions. Not to mention League bragging rights. Last Year Valley Mesa took top honors in the 10U Division and Imperial Beach took top honors in the 12U Division. Full Service Snack Bar and BBQ will be available. Come out and cheer on Imperial Beach and Support Imperial Beach Girls Softball.